RoboValley and TU Delft’s new X!Delft initiative announce to team up to strengthen the robotics innovation opportunities for TU Delft’s industrial partners. 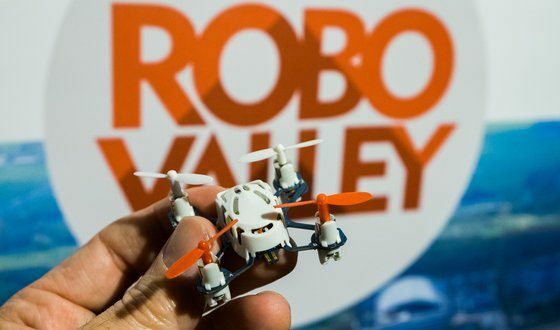 In the past two years RoboValley has successfully developed the Robot Master Team methodology of bringing robotics knowledge to the industry through a range of interactive workshops, deep dives and robot scans. RoboValley’s Robot Master Team and its recently published RoboValley Connect database portal for on-line intelligence and matchmaking services, offer a solid basis for project-based, robotics related workshops, demos, intelligence and matchmaking. More information: Anouschka Versleijen, Manager Partnerships at RoboValley: anouschka.versleijen@robovalley.com.